The overall goal of the Employment Related Program is to bring work skills up to a level of competitive employment. It is to develop marketable job skills and assist the person in finding and retaining part-time or full-time employment. Vocational strengths and needs are defined through assessment tools, job club meetings and actual work experiences. While working in the sheltered workshop setting, workers are paid by the piece-rate system for assembly, packaging or bench work. The Supported Employment Program is designed to offer individuals with intellectual and developmental disabilities employment experiences while providing support and training. The person works alongside workers without disabilities and is given the same job requirements and expectations. Job specific training is provided, if necessary, to support the employee in the job setting or to help the person move on to competitive employment. 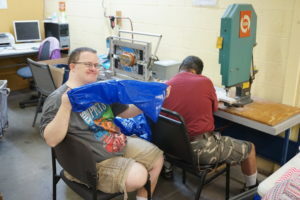 Individuals in this Group Supported Employment Program have the opportunity to work at local businesses as a small group with the support of a job coach. These groups are known as enclaves. These individuals are compensated for all hours worked. Individuals who are successful in group supported employment may be considered for individual supported employment. Chandler Gilbert Arc also offers a vocational program for individuals who want or need to work in a sheltered workshop setting. They perform work and receive a paycheck for their work on subcontracts that are provided by Chandler Gilbert Arc. They prepare themselves for long-term employment opportunities whether it be part-time or full-time jobs in the community or with CGArc. Most already have a high degree of work skills, but need some level of support to achieve that final step toward employment independence. The above programs are available to individuals who have procured funding through the Arizona Department of Economic Security Division of Developmental Disabilities (DES/DDD), Department of Vocational Rehabilitation, or through private pay funding arrangements. On occasion, CGArc assists by providing short-term full or partial scholarships based upon availability of the funding. Please see the Director of Employment Services for details. 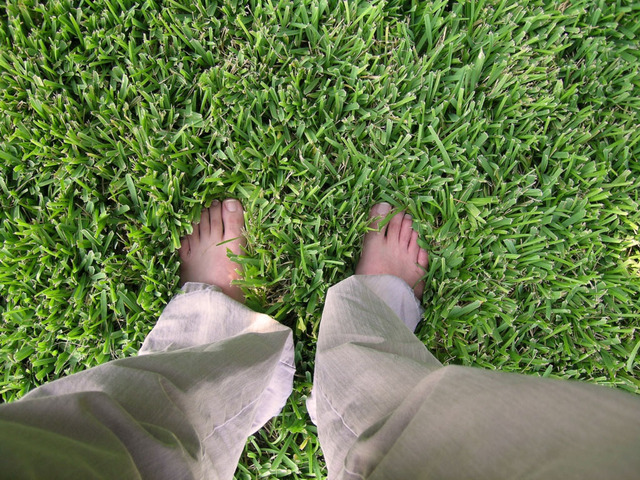 Arc Enterprises provides lawn care services at very reasonable prices. If you need your lawn cared for and would be interested in a quote, call 480-892-9707 and ask for Isaac Martinez or Michael Miller.